A brand-new title in this successful series of African folktales. 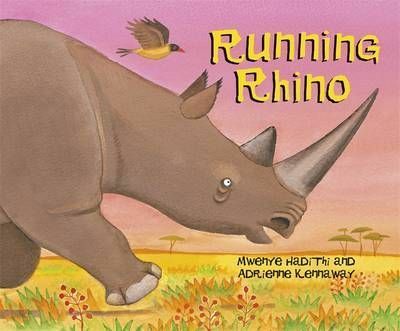 Rhino runs everywhere. And as he runs, he leaves a wake of devastation in his path. The other animals are fed up of this rampant running and so Lion confronts him, telling him he must stop. Rhino refuses and challenges anyone to try and stop him. Out of all the animals it is little Tickbird who takes up his challenge, with interesting results!